Jordi Alba has reiterated his desire to stay ​at Barcelona beyond the end of his current contract, but admitted that there was nothing to report on negotiations over a renewal. 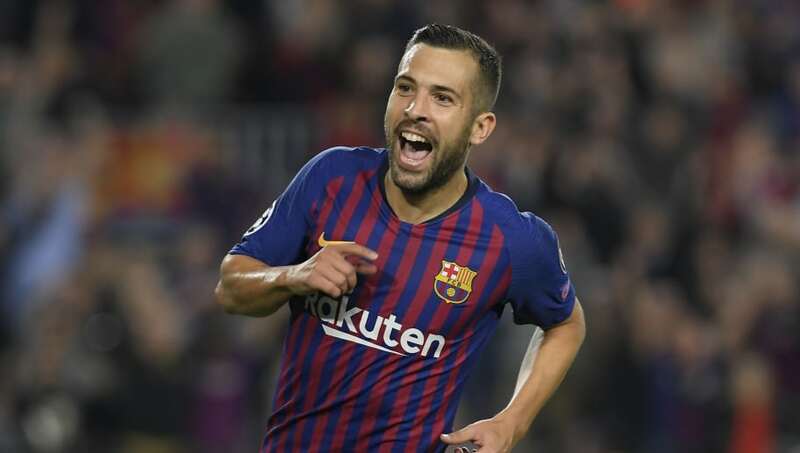 Alba's contract expires at the end of the 2019/20 season but he wants to sign a new deal which will bring him in line with some of Barcelona's higher earners, including Sergio Busquets and Gerard Pique. Speaking after Sunday's 3-0 win over Eibar, Alba admitted that there had been no progress on contract discussions and said that the ball was in ​Barcelona's court. "Everything is still the same for me, I have a year left on my contract and I don't know what the club thinks," the Spanish left back said, quoted by ​Marca. "I'm calm. They have to see if they want to renew me and when they do want to renew me if that is the case. I want to stay here as this is the club that I love and have always supported, but it depends on them. "For me, I can only control my own performance which I think has been good, but I don't expect anything from anyone." Alba has made over 270 appearances for Barcelona since they signed him from Valencia in 2012. At the age of 29, he remains one of the Blaugrana's most important players. Alba has missed just 70 minutes of league football this season for a Barcelona side who are five points clear at the top of the table following Sunday's win, in which ​Lionel Messi scored his 400th La Liga goal.